Enter our Shop, Play and Drive Away lucky draw for the opportunity to win a brand new Tesla electric car and other great prizes starting with a minimum spend of just MOP500. For each MOP500 spent at Shoppes at Venetian, Shoppes at Four Seasons, Shoppes at Cotai Central, Shoppes at Parisian or Shoppes at Sands Macao (except dining outlets), you can redeem with the receipts to enter a lucky draw to win Tesla dream cars and Rewards Dollars, with total prizes valued at up to HKD1,380,000. * Only Winner(s) who present themselves before 7:30pm at lucky draw venue on each lucky draw date will receive the special prize. 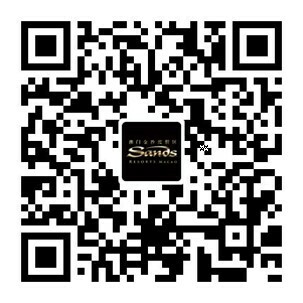 *Shoppers must be members and have already obtained a Shopper ID from Sands Resorts Macao WeChat official account for redemption. Scan QR code in WeChat to get your Shopper ID before redemption. *Click here to learn how to earn more entries on winning your brand new Tesla electric car and win BONUS PRIZES!